EMA was ranked number 457 on the 2005 Inc. 500 list of America's fastest growing private companies. Click on the logo to the left to view the full reprint of our award. 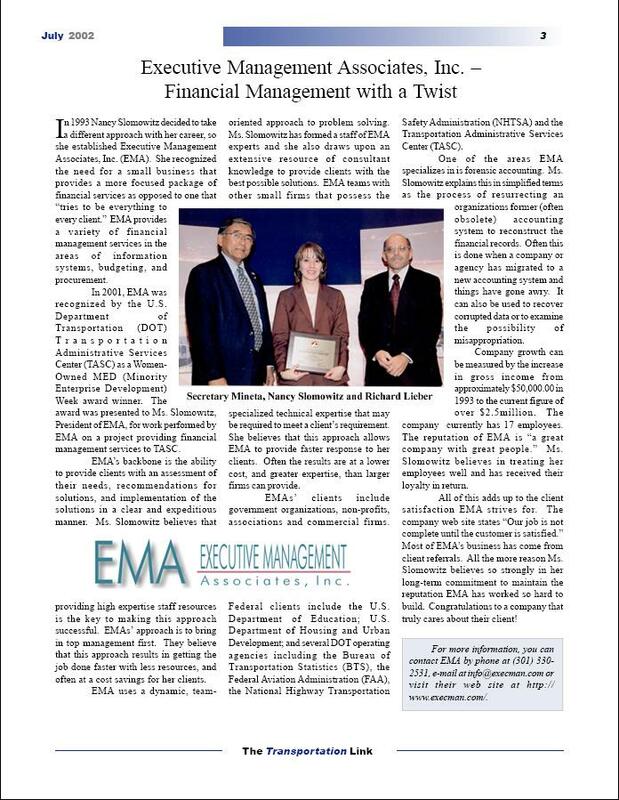 In October 2001, Nancy J. Slomowitz, President of EMA, was awarded the U.S. Department of Transportation's Small Women-Owned Business Enterprise Award by Secretary Norman Y. Mineta, Secretary of Transportation. The article below, reprinted from the the July 2002 edition of the DOT's Transportation Link Newsletter, highlights this award.